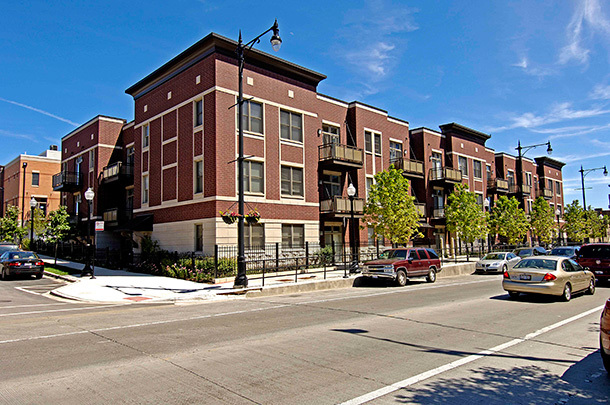 This development of townhomes sits on approximately four square blocks of the former industrial landscape along the east bank of the Chicago River. 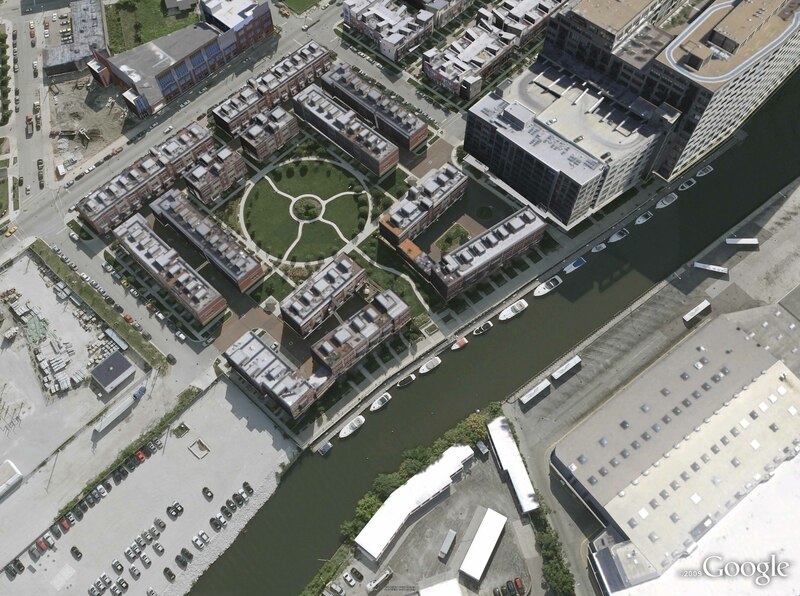 The project features a one acre park as well as affordable units and a large river walk featuring landscaped walkways and connections to other new developments in the area. 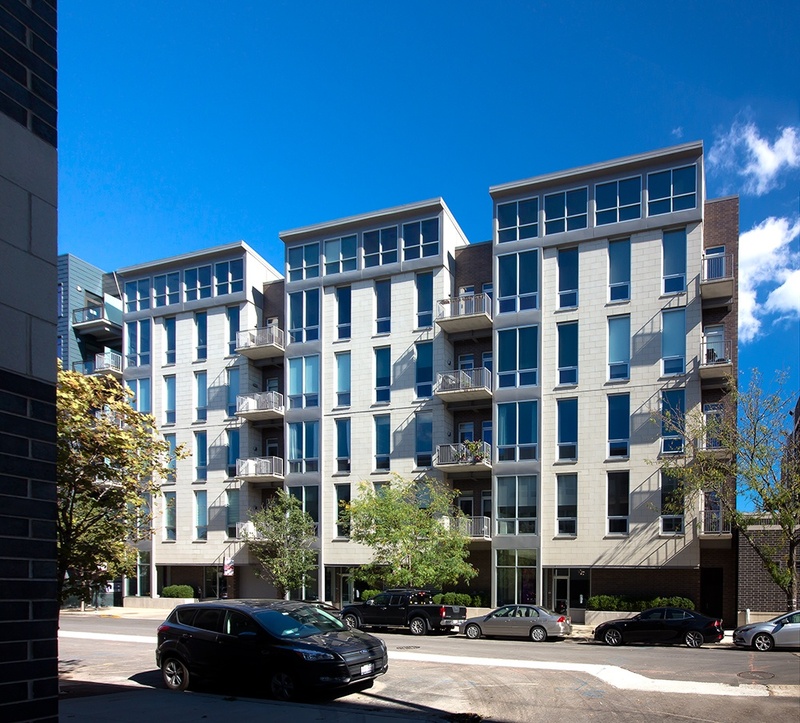 Affordable units appear in three-flat configurations located at the end of most townhouse blocks on the site, designed in such a way to blend seamlessly with the rest of the residences on the site. 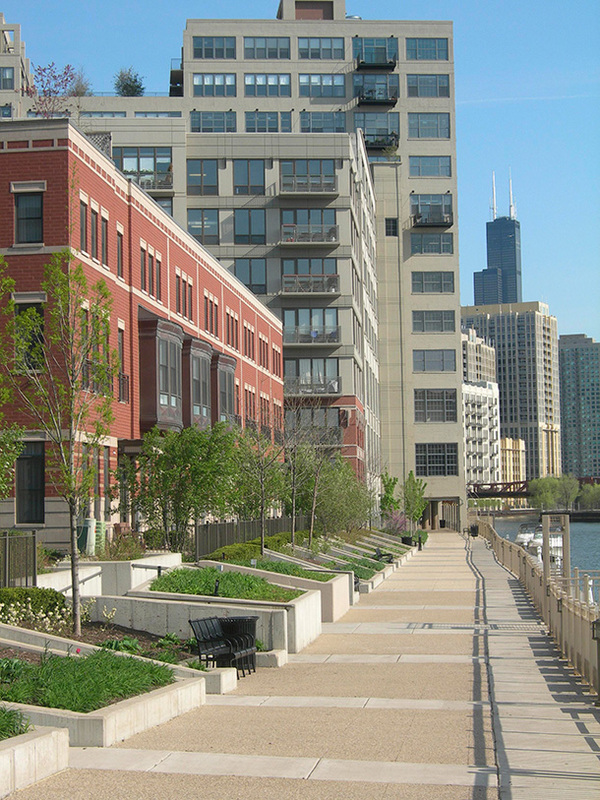 The river walk at River Village is a continuation of the river walk between Ohio and Grand Avenues established by FitzGerald at the firm’s River Bank Lofts project. 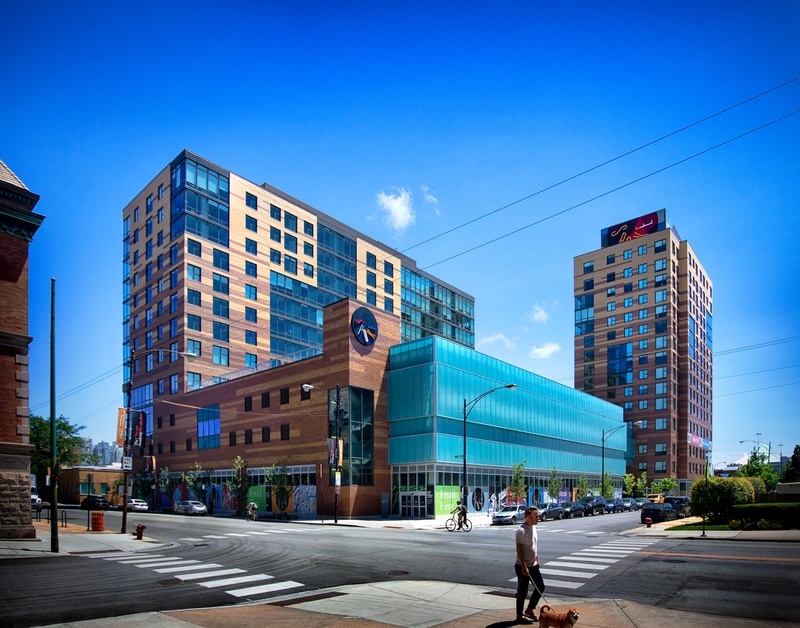 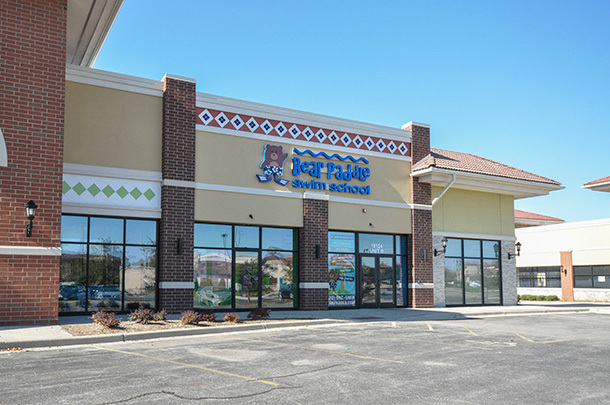 Since continued by several other developers, the river walk acknowledges the desire for new development to interface with Chicago’s less-emphasized waterfront areas.